Lent is a time to connect to our Holy Land. During the holy season of Lent, our minds and prayers naturally turn to the Holy Land, the place of Christ’s ministry, suffering, death and resurrection. Christians living in the Holy Land today are a small minority in a volatile place. Be inspired by reflections on pilgrimage to the Holy Land and on peacebuilding. Learn about and pray for the Holy Land, with these resources provided by the Holy Landers Ministry Network of ECCT with Jerusalem Peacebuilders and the American Friends of the Episcopal Diocese of Jerusalem. Click here for Resources for Lent 2017. Prayers of the people for Lent are available here. Above from the Episcopal Church in Connecticut, www.EpiscopalCT.org. This website offers weekly meditations for Lent on the Seven Last Words of Christ, based on the book by Father James Martin. Also available is a form of the Stations of the Cross. This booklet from Living Compass is also available as an ebook. The Leader Guide is available by clicking here: Lent_2017_LeaderGuide.pdf. "The Jesus Movement is manifested through opportunities like the Good Friday Offering to stand in solidarity with our sisters and brothers throughout the Province of Jerusalem and the Middle East. I ask you to join me in the journey of faith as part of the Jesus Movement in supporting the Good Friday Offering again this year." 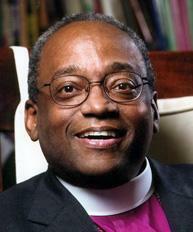 Find the full text of Presiding Bishop Curry's letter here. Our contributions to the Good Friday Offering support the various ministries of the Province of Jerusalem and the Middle East. More information on the Good Friday Offering can be found here or by contacting the Rev. Canon Robert Edmunds.